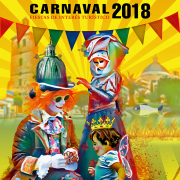 Open the deadline for the contest poster for Carnival 2019. 1. THEME: Free, admitting only original works and not previously awarded. The posters can be made by any procedure, photographic composition, digital system, painting, among others. If computer support is used, a paper copy must be attached, admitting a minimum format of DIN A4. 2. 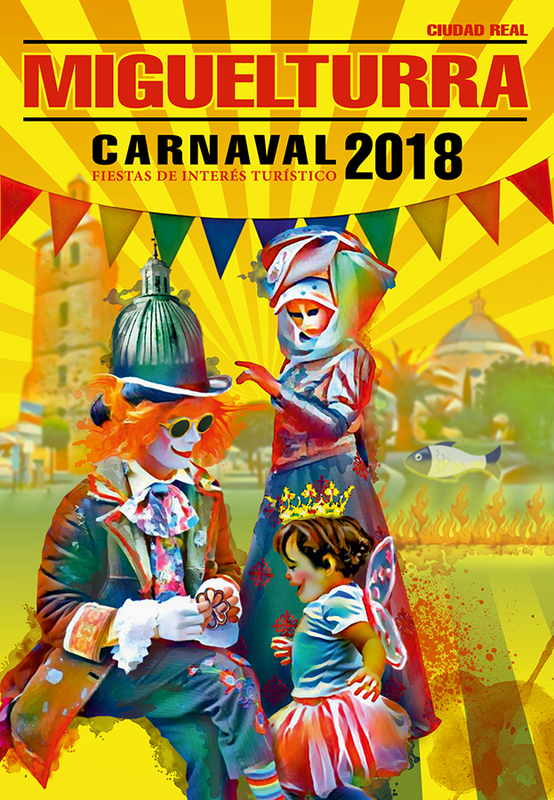 DIMENSIONS: The posters presented will allow printing in 45 by 65 centimeters, with the following inscription on them: “MIGUELTURRA” (Ciudad Real) Carnaval 2019. FIESTAS DE INTERÉS TURÍSTICO NACIONAL. The name of the town should have a prominent space, being in respect of the province in a proportionality never less than 1 to 5. 3. PRESENTATION: The posters will be presented without a signature and with a slogan on the back of them. In a sealed envelope will go the motto expressed and inside will contain name and surname of the author, address, telephone, location, email and affidavit of authorship and ownership of the work. 4. REMISSION: Posters will be sent to the House of Culture, Perlerines Street, 26. 13170 Miguelturra (Ciudad Real) from the publication of the rules and until December 21, 2018. The referral will be under the responsibility and risk of the contestants. 5. PRIZE: A single prize of 1,000 euros and a gift, a souvenir of the contest, is established. The prize is subject to the corresponding retention in concept of IRPF. 6. JURY: It will be designated by the organization. Your decision will be unappealable. 7. EXHIBITION: The organization will exhibit the works presented at the Casa de Cultura, in the month of January 2019. Non-awarded works may be withdrawn as of February 1, 2019, all during office hours and until March 15. After this date, the works not withdrawn will remain in the possession of the Organization. 8. PROPERTY: The award-winning creation will be fully and exclusively owned by the Organization, which reserves the right to reproduce and disseminate through the channels it deems most appropriate. For more information, please contact the Culture Department of the Miguelturra Town Hall, telephone +34 926 24 10 90.